Many folks would rank process of finding replacement components high among the list of frustrating and difficult tasks. Whether for cars, technology, appliances, or practically anything else for that matter, replacement parts can be difficult to come by, often requiring a wild goose chase of sorts to find what you need. The situation is made even worse when you find that the manufacturer of the part you’re looking for is no longer in operation. And, unfortunately, that is the case when it comes to replacement clips for Prest Rack pallet rack. A few years ago, Prest Rack was purchased by Excel, a pallet rack manufacturer. Shortly thereafter, Excel discontinued operations as a company, ending the production of Prest Rack and the pallet rack clips that go with it, Prest Lock. Now, years later, there is a major shortage of Prest Lock clips available on the market, and it appears as though the supply will eventually run out. 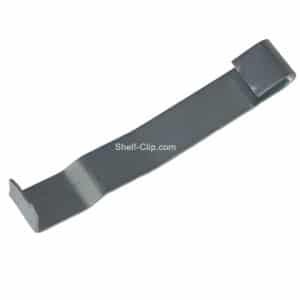 One of the few remaining sources with a substantial supply of Prest Lock clips is none other than Shelf-Clips.com. At Shelf-Clips.com, we want to make sure your clip needs are met, even if it means carrying pallet rack and shelving clips that are no longer being produced. If there’s a demand for the clip, we’ll make sure it’s satisfied — it’s just another way we strive to be your go-to source for pallet rack and shelving replacement clips.